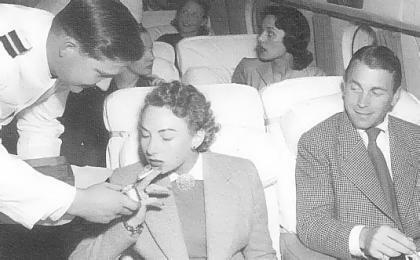 Somehow I always got stuck right beside a smoker on the train and later in the plane. And always at a restaurant - just as your food was delivered you heard the metal "clink" of the blankety-blank Zippo lighter right behind you. You could also smoke in class at Kent State in newer buildings. Smoking is madness when you think about it. Absolutley change for the better. Everyone in my emmediate family has or has had health issues,some life threatening, due to cigarette smoke or smoking. I remember smoking in a hospital. They had lounge areas where people could go to smoke, all the ashtrays were full. If you were a patient you were allowed to smoke in your room. This is one thing I don't miss.